November 6 is still quite a ways away, but as the writers and pundits suggest, Gov. Bruce Rauner has a long uphill climb in front of him if he hopes to convince Illinois voters to give him a second term after narrowly escaping Rep. Jeanne Ives' upset bid in the GOP primary. Seemingly comfortably ahead just days before-- a poll by the respected Paul Simon Institute at Southern Illinois University in Carbondale had him winning by 20 percentage points at the end of February-- Rauner barely survived, edging the Wheaton lawmaker by slightly less than 3 points, some 20,000 votes, in the final unofficial count. Meanwhile, billionaire J.B. Pritzker claimed the Democratic nomination by a wider margin than expected, taking 45 percent of the vote in the six-candidate race, roughly 240,000 more than runner-up state Sen. Daniel Biss, who pulled almost 27 percent. Businessman Chris Kennedy trailed the Evanston lawmaker by about 28,000 votes. The Simon poll had Pritzker leading with 31 percent, 10 points ahead of Biss. None of the three other candidates cracked 2 percent of the vote. But a win is a win, as some Rauner backers noted, right? True, but November could well be a different story. Listen to an interview with Charlie Wheeler. For starters, Illinois Democrats turned out in relatively great numbers, more than 1.2 million in all, more than twice as many as the 500,000 who pulled Democratic ballots in 2014, the last non-presidential primary. The Republican vote of 655,000 was roughly 185,000 less than in 2014, a 22-percent drop. The numbers only underscored what's shaping up as a national trend: Democratic faithful energized by resistance to President Donald Trump and Republican troops less enthusiastic for the GOP brand. The Prairie State's Democratic leanings appear even more pronounced; the president lost Illinois to Hillary Clinton by almost 950,000 votes in 2016; more recently, Trump garnered a favorable job approval rating from only 36 percent of the Simon Poll's respondents, compared to 62 percent negative. Even so, Trump did slightly better in the Simon poll than Rauner, who's taken great pains to avoid even mentioning the president's name. The governor's positive rating was 31 percent, with 63 percent disapproving. Perhaps Rauner can take some comfort in noting that poll respondents had an even dimmer view of the governor's chief nemesis, House Speaker Michael Madigan. Only 21 percent approved of the Chicago Democrat's job performance, while 68 percent disapproved. But Madigan's name will appear on the November ballot in only 1/118th of the state, his own 22nd House district, while Rauner's will be everywhere. So Rauner's strategy has been to paint his opponents-- indeed, everyone who doesn't agree with him-- as being controlled by the speaker, who the governor called "a unified force of bad, of evil" during a campaign stop in Quincy. Pritzker? 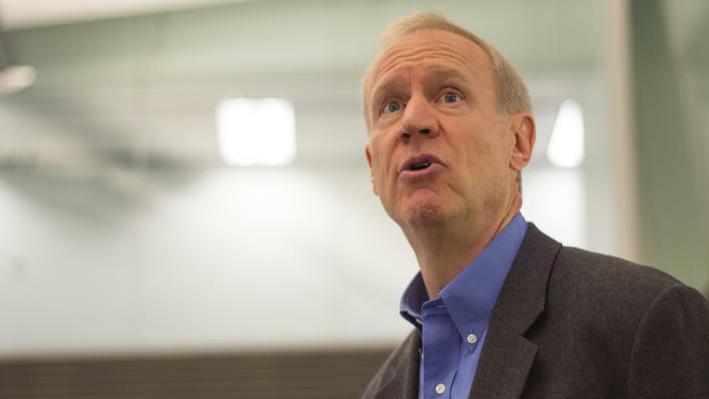 "He's Madigan's handpicked candidate," Rauner told Adams County Republicans. "I know this guy. He's done a lot of bad stuff. And I am going to blow him up and take him down in November. You watch." One would suspect that most people would see tying Pritzker to Madigan as a legitimate tactic, but even some of his erstwhile allies cringed when he tried to paint Ives as Madigan's "favorite Republican." 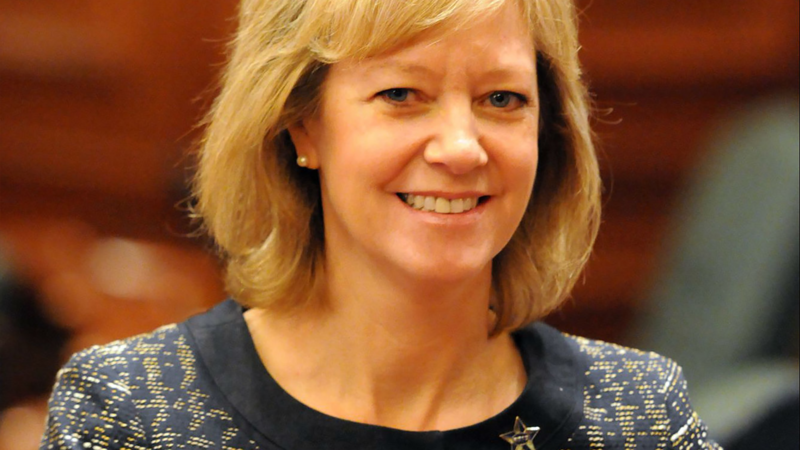 The truth is that Ives ran largely because she and like-minded conservatives felt betrayed by Rauner's approval of progressive legislation, especially SB 31, the so-called "Trust Act," which prohibits state and local police from arresting or detaining people solely because of their immigration status, and HB 40, a measure that includes coverage for abortion in Medicaid and state group health insurance. 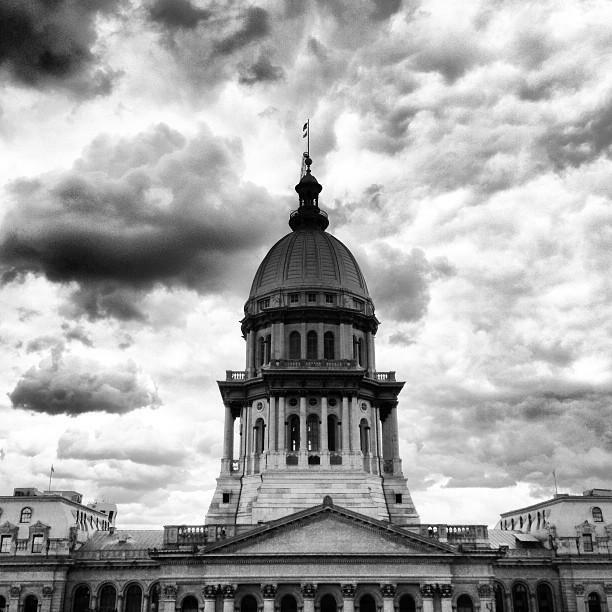 Ives voted against both bills, Madigan supported both. Indeed, Rauner's decision to sign the abortion bill after telling other conservative lawmakers-- and Chicago Cardinal Blase Cupich-- that he'd veto it triggered Ives' candidacy and a "Benedict Rauner" tag. 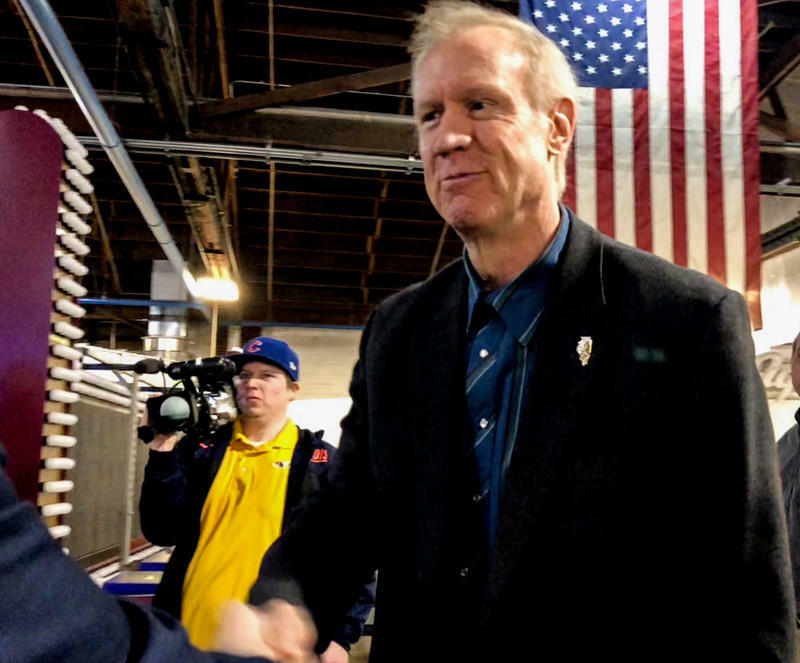 And while the Democrats kissed and made up, Ives appears to be in no hurry to forgive Rauner's attacks. Biss and Kennedy pledged strong support for Pritzker shortly after the votes were tallied on election night and posed for smiling photos with their candidate during a weekend unity breakfast. In contrast, Ives has yet to make up with the governor, and the hard feelings are clear. "I'm a Republican. I'll vote for him, but I will not endorse him," the Daily Herald reported. "I will not campaign for him... Maybe if he takes out a million-dollar ad buy and admits he lied about me, maybe we'll talk." When WBEZ reporter Dave McKinney asked Ives a few days after the primary who would be a better governor, Rauner or Pritzker, Ives took 40 seconds-- an eternity in radioland-- to finally say "Rauner." -- A likely national Democratic wave, boosting Pritzker and other candidates of a unified party. -- Ugly divisions within Republican ranks, especially among more conservative voters who took Rauner at this word that he had no social agenda when he first ran in 2014 and also among partisans who think governors shouldn't lie to legislators or churchmen. Trust is easy to lose, but next to impossible to regain. An equally difficult challenge for the governor will be to convince voters that four more years will be any more productive for the state and its citizenry than the last three. Rauner's mantra in 2014 was simple-- Pat Quinn is a failed governor. Yet Illinois is worse off in many respects after three-plus years of Rauner. The state's budget deficit is larger, its bond ratings worse, its social service safety net shredded and universities threatened by a 736-day budget stalemate. None of the 44 points on his "Turnaround Agenda" became law, in some cases because the governor torpedoed efforts at compromise negotiated by GOP lawmakers and the Legislature's majority Democrats. Never one to settle for half a loaf, Rauner went hungry most of the time. Perhaps the governor's greatest success has been in reforming the criminal justice system, particularly in reducing the state's prison population. But those successes were the result of bipartisan negotiations, not gubernatorial mandates. And while Rauner likes to tout the state's new plan for funding public schools, the truly historic accomplishment came in spite of a Rauner veto, not through the governor's good efforts. Bereft of a record of solid achievement, Rauner's vision now appears to be, "I'm the only thing standing between Illinois and Madigan's Armageddon," a retooled, slightly more hysterical, version of his standard theme. 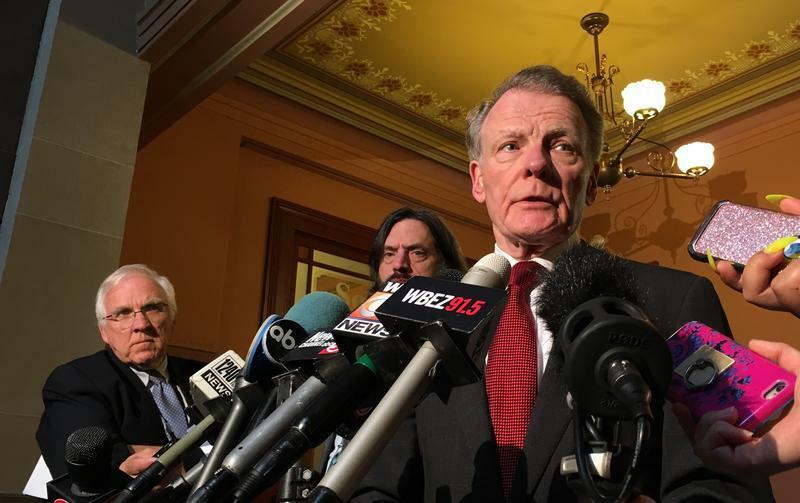 So he keeps pushing for term limits, although under the proposals sponsored by Republican leadership, which gives lawmakers 10 years from 2019, Madigan would be forced out of office just a few months shy of his 87th birthday. Nor will the next Democratic leader be any more amenable to the governor's anti-union agenda than Madigan; support for organized labor is in the Democratic DNA, not a byproduct of union campaign funds. Campaign rhetoric aside, one might note that even if Rauner is elected-- not at all certain at the moment-- even if Republicans gain control of the House-- even less likely-- Rauner still will have to deal with a Democratic Senate. Even if every GOP Senate candidate wins in November, Republicans would have only 29 seats, one shy of the majority, when the 101st General Assembly takes office in 2019. So perhaps the governor might be better advised to try to mend fences with legislative Democrats, find issues on which bipartisan agreement is possible for the common good. If not, he may find himself in the same position as Gov. 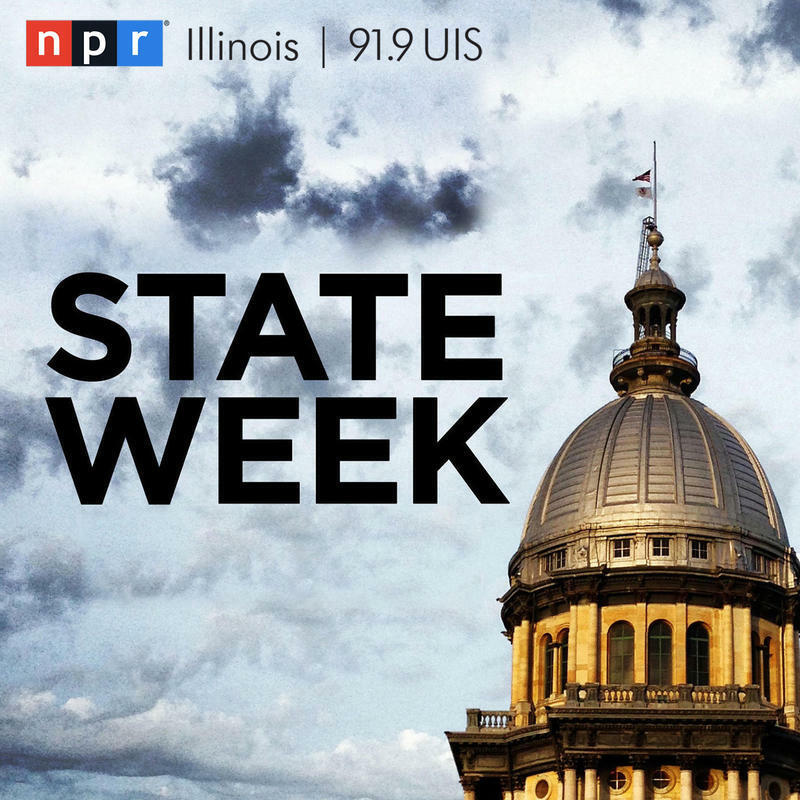 Dan Walker, the Democrat whose fate Rauner narrowly escaped last week. A true lame duck after losing the 1976 primary, Walker was basically a bystander the rest of his term, as legislative leaders of both parties worked together to fashion a budget and set the agenda for the session. Gov. Bruce Rauner won renomination by just three percentage points — a remarkable margin considering he raised more campaign cash than his opponent, Rep. Jeanne Ives, by a factor of 26 to one. Ives says she won't be endorsing the Republican governor for reelection. 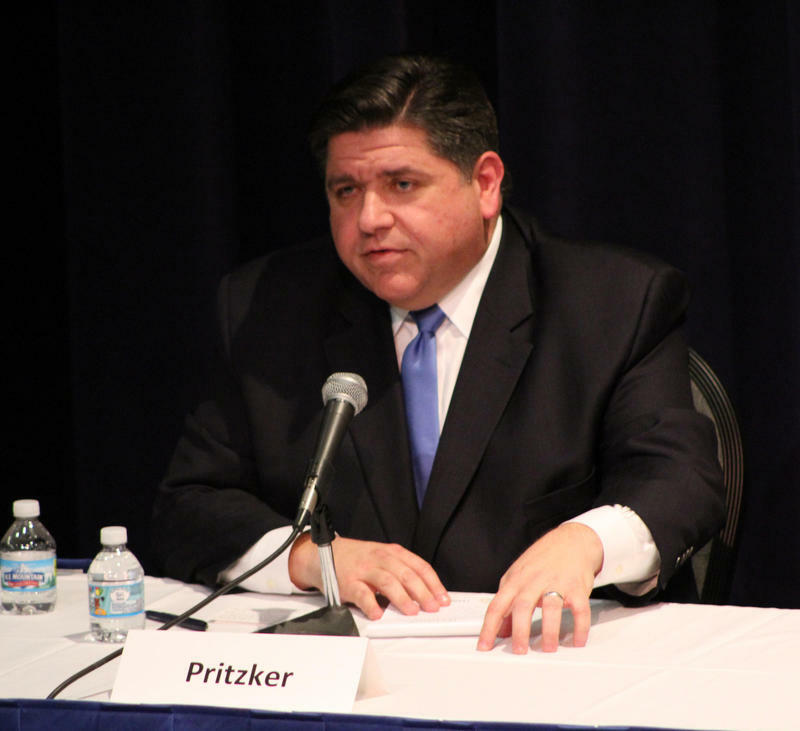 Meanwhile, J.B. Pritzker bested each of his two main opponents for the Democratic nomination by 20 percentage points. But state Sen. Daniel Biss and Chris Kennedy both say they'll support Pritzker in his race against Rauner. Illinois primary voters have spoken. This year’s race for governor will be a battle between two of the wealthiest men in the state. But this outcome almost didn’t come to pass. Democrat J.B. Pritzker won easily, but incumbent Republican Governor Bruce Rauner barely escaped a humiliating defeat. Governor Bruce Rauner says he needs to “find common ground” with the nearly half of Republican voters who rallied behind his primary election opponent, Jeanne Ives. In his election night victory speech, Rauner said he heard the message those voters wanted to send, but he has yet to give specific details on what that message is. With 46 percent of the vote, billionaire J.B. Pritzker beat out a crowded field of Democrats for the nomination for governor. A group of state lawmakers and anti-abortion groups sued the state of Illinois Thursday. They’re trying to block a new law that will allow state money to pay for some abortions. Bill aims to protect abortion rights on the chance Roe v. Wade is overturned. With Democrats in firm control of the Illinois General Assembly, abortion rights might seem to be safe in the state. 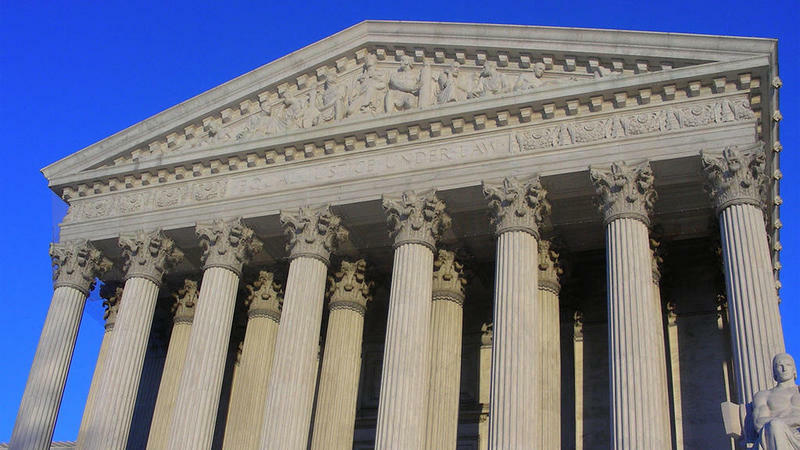 But what would happen if the U.S. Supreme Court overturned its landmark Roe v. Wade decision, which made abortion legal across the country in 1973?